following products as listed by reputable manufacturers. For all of your Plastic Surgery needs think SheffMed. The Breast Reduction Compression Device (BRCD) is a smart product to facilitate the breast reduction surgeries. The product consists of an adjustable nylon strap encased in silicone tubing. The silicone tubing prevents the strap from slipping out of place. 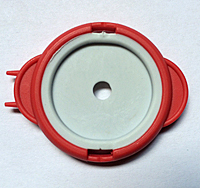 Also, the silicone tubing minimizes the stress on the tissue. 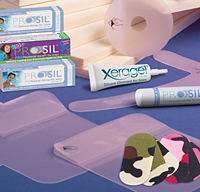 Biodermis, Epi-Derm, Pro-Sil and Xeragel are names now synonymous with scar treatment and reduction. For over 25 years, Biodermis has been a pioneer in the development of innovative solutions for the skin, ranging from scar management to post operative care and now skin hydration. 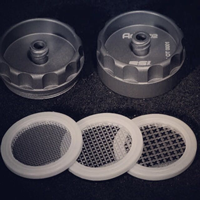 In association with Samson Medical Pty Ltd, SheffMed NZ Ltd brings you the Adinizer system for making Nano Fat via the Adinizer's Filters/Cutters (Disposable) and the Reusable Housing (Hub) System. 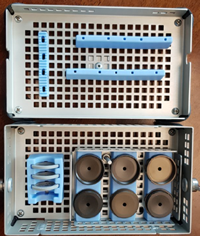 Pictured above in an Instrusafe Sterilization tray available to purchase separately. Hub 1 will have the 2400 micron. Hub 2 will have the 1200 micron. Hub 3 will have the 600 micron. Go from one Housing (Hub) to the other until you get the desired liquid (Nano) fat. In basic terms, this can allow the fat to go through a 27 gauge to 32 gauge needle. Please contact SheffMed NZ Ltd for Pricing. Best Medical can supply specific modified required instruments to clients specifications. Developed by a plastic surgeon, CryoShape™ is a breakthrough hand-held cryosurgical instrument for destroying deep tissue through intralesional intervention utilizing an extremely cold cryoprobe. The T-RING is the world’s fastest, Safest and Most Effective Finger Tourniquet.